Note: This is my summary of the key features of the proposed DTLA 2040 Community Plan update (based on the limited information available from City Planning at this time), the major flaws or problems as I envision them, and a number of recommendations for improving it. After reading it, if you want to learn more about the details of my counter-proposal and my arguments for why we should demand more from the Planning department, please continue to the page linked here, which goes deep into the weeds on all of the topics discussed below. A map of the proposed zones in the DTLA 2040 plan. Source: DTLA2040.org. The Department of City Planning is aiming to have the Downtown LA Community Plan updates (Central City and Central City North) approved and ready for implementation by early 2018. This update is an unparalleled opportunity to reshape downtown, and to create an incredible amount of value and capture it for use on local priorities in the coming years. I think downtown is different from the rest of Los Angeles, and that if you show us something truly visionary, we're ready to get behind it. Maybe I've got my head too high up in the clouds, but I really believe that. Our ambition and openness to change is being underestimated by this plan; we can and should do better. The city will need to complete an environmental impact report as a part of their update process, which means they’ll be finalizing many of the fundamental components of the plan over the next few months. Now is when we have the most leverage to demand changes from the people in the city who are putting this plan together. 1. The plan seeks to accommodate 70,000 new households, 125,000 new residents, and 55,000 new jobs through 2040. 2. 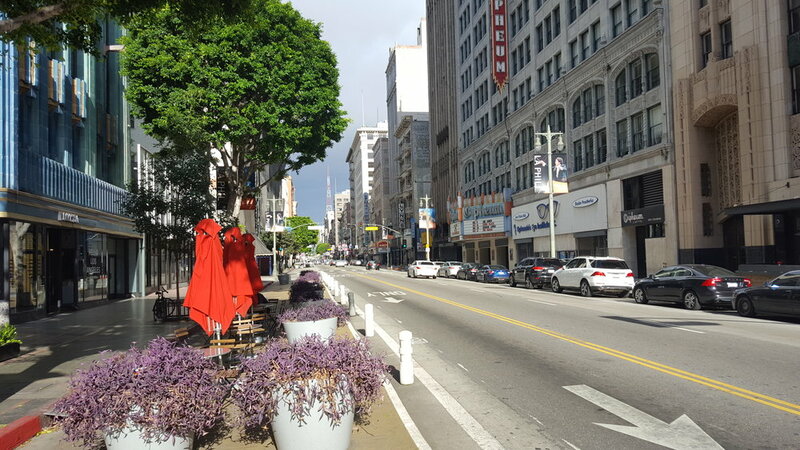 It will upzone much of downtown and (presumably) tie the utilization of increased development capacity to community benefits like affordable housing, open space, streetscape investments, etc.—similar to Cornfield Arroyo Seco Specific Plan (CASP) and proposed Expo Corridor Transit Neighborhood Plan. 3. Southeast downtown will be completely off-limits to housing, preserving existing low-employment-density manufacturing and warehousing uses. Without getting too great into the details on this summary post, here are the main weaknesses of the currently DTLA 2040 plan, as I see them. 70,000 new households isn’t enough. If more people want to move here, we should allow them to—and the more people that do move here, the more we can secure in community benefits (through value capture), general funds, Measure M and R, etc. 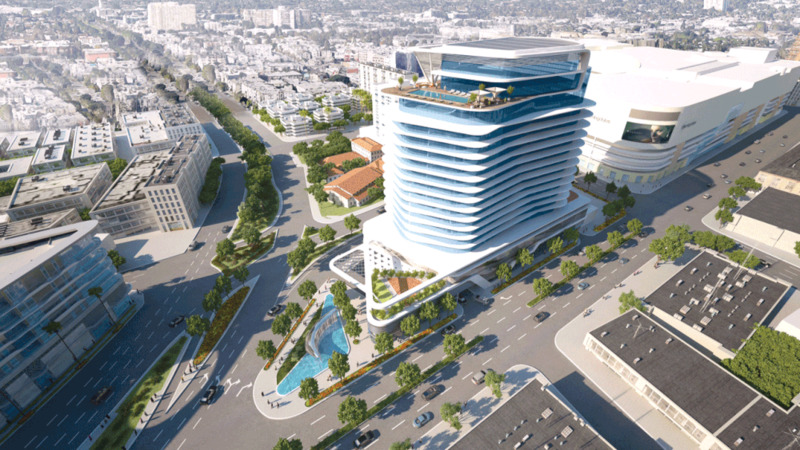 City Planning is explicitly trying to avoid "too much" of LA's growth from occurring downtown. As a result, we end up with a city that is constantly zoned for only slightly more housing than we currently use, creating an artificial scarcity of developable land that drives up the price of land, and therefore housing. We also get less housing and jobs near the best transit in the county. The constant delays and NIMBY roadblocks thrown up in front of good projects outside of downtown are an excellent example of why we should take full advantage of as much housing as developers are willing to build in downtown LA. They believe that if we zone for too much housing, nothing will get built. Their argument boils down to the idea that if we zone for more than developers currently want to build (e.g., 10:1 floor-area ratio in an area where no one wants to build more than 6:1 FAR right now), property owners will hold their land off the market longer, waiting for demand and prices to rise. But is there any evidence that this actually happens on a meaningful scale? Preserving industrial land (no housing) is delaying the inevitable. In the long run, it only ensures that steadily fewer jobs will be contained within this ~1,000 acre area, despite a new light rail line on the way (the Eco-Rapid to the Gateway Cities) and increasing demand for housing moving toward the southeast. There’s not much room for innovative programs or approaches to the housing crisis or downtown’s unique needs. If anywhere is willing and able to try something creative and transformative, it’s DTLA, and we shouldn’t waste the opportunity. In addition to moderating rent increases and providing new supply, both of which reduce the incentives for landlords to utilize Ellis Act evictions, downtown can also try out innovative support programs that better mitigate the impacts of redevelopment. Because it's still relatively early in the plan update process, there's still plenty of time to make your voice heard and to advocate for a more aggressive plan. The Planning department needs to hear from downtowners who want to see more housing, more flexibility, and more vision. Below are my key recommendations; the first three are especially high priorities. Increase capacity for new housing overall. Downtown LA should be allowed to build as much housing as people are willing to move into, not the amount determined by some arbitrary forecast. Larger up-zones will create additional value that can be captured to fund local community needs like affordable housing, homeless services, parks, and transportation infrastructure; more housing means less rent pressure on existing units in downtown and beyond; and more land available for redevelopment reduces the value to a developer for any particular parcel, which in turn can help reduce the overall cost of new housing. Create a flexible, predictable value capture mechanism. Upzones create incredible value for existing property owners, and so it should be a priority to recapture much of that value for community benefit rather than leave it as a windfall for the owner. (The captured amount should not exceed the value created by the upzone, however.) The value capture mechanisms used in CASP and the Expo Corridor TNP are complex and relatively inflexible, so we should strive to find something that is more straightforward and predictable, encouraging developers to invest in our community—especially smaller and mid-size developers that have been regulated out of the market by complex rules and project-by-project negotiations. One example of a simple value capture mechanism: Pay a fee for each square foot of development above existing (pre-Community Plan update) FAR. If current zoning allows for 1.5 FAR and the new plan increases that to 10.0 FAR, a fee is paid on each square foot of development above 1.5. For zones that are changed to allow residential uses where they were previously prohibited, a higher fee might be charged because the increase in value is greater for a change of use than a simple FAR increase. The proposed Southern California Flower Market redevelopment is a great example of development being used to not only create new housing, but to create the value needed to preserve historic, job-producing uses. Allow housing throughout downtown. Manufacturing employment has been declining for decades, and with the growth of automation that’s unlikely to change. Unfortunately, right now City Planning intends to entirely prohibit housing in the southeastern parts of downtown, in the proposed "Industrial Preserve." Many “heavy” industrial uses are incompatible with a safe, walkable, transit-oriented downtown. Sacrificing potentially tens of thousands of units of housing and many thousands of higher-density jobs in order to preserve the relatively few manufacturing and warehouse jobs in southeast DTLA—temporarily, at that—is incredibly wasteful and short-sighted, especially in light of the rail stations planned for the east side of downtown. If preserving jobs is a priority, we should tie the construction of new housing to the provision of office and/or light industrial work spaces (e.g., allowing construction of up to 6.0 FAR if a third of the building's space is used for non-residential/retail/hotel uses). Residential zoning is extremely valuable; by expanding mixed-use zoning throughout downtown we can create value that also helps pay for business relocation and employee retraining, rather than simply watching these jobs disappear one by one over the coming decades, with no assistance offered to those affected. New developments can be designed to retain the heritage features of old structures, such as the facade seen here in a Seattle redevelopment project, while still allowing for growth and densification. Set aside some value capture proceeds for innovative programs. Zoning for an aggressive amount of new housing is fairly unusual in large American cities, but we’re otherwise not doing much that other places with even more unaffordable housing (SF, NY) haven’t already tried. Downtown can and should help explore new approaches that could actually make a dent in the crisis. These can include things like: non-profit acquisition of existing housing, to set aside a share for low-income residents and hold long-term; temporary relocation and rent assistance, and right of return for displaced residents, regardless of income; funding for business retention; and more. Study a “high-growth” alternative in the EIR. One push-back from City Planning to the idea of a more aggressive growth plan is that more housing means analyzing more impacts in the environmental impact report, and it may be harder to justify those impacts without a solid basis for the growth projections (like SCAG housing allocations, which are currently being used). If Planning can evaluate both scenarios, “SCAG-projected growth” and “high-growth,” we at least have a sense for what those impacts might be and can make an educated decision when the draft EIR goes out for review. We can’t know what we don’t study. Humans are horrible at predicting the future, and our growth plans should account for a range of possibilities that leave flexibility for if (and when) our predictions don't turn out as we imagine. Examine options and implementation for major infrastructure changes and roadway reallocations. With a large and robust value capture program comes the responsibility to spend those public revenues effectively. Examples of potential projects include: open space on the scale of Grand Park, most likely located south of 7th Street anywhere from the Fashion District to the LA River (and which would require acquisition of several city blocks); narrowing and closure of some roads to most car traffic, or adoption of woonerfs, in places where roads don’t cut straight through downtown (ex., 10th Street between San Pedro and Central, 11th Street between Broadway and San Pedro); a fully-protected east-west bikeway with safe intersections and, potentially, park space to accompany it along its length; dedicated lanes for transit and local shuttle service, especially connecting people to Metro rail lines (and taking plans for the FASTLinkDTLA transportation management organization into account)… other ideas welcome. Limiting parking can also make it easier to fill in smaller parcels, and help create the kind of consistent streetwall that makes many of our historic streets so beautiful. Designate areas that might benefit from Master Plans and Master EIRs alongside or following DTLA 2040 approval. Master Plans and Master EIRs create a framework for by by-right development that does not require a years-long process of project-specific approvals. This creates additional value for the owner of the land, which can in turn increase the amount of value capture possible from each parcel. Rather than leaving the developer to take the risk of approval and absorb the costs of that expensive process, the city can clear the way and capture much of that value for local benefit instead. It would also help us respond to changes in demand much more quickly than we can today. There's a lot going on with this update, and a whole lot at stake, so we need downtown stakeholders to be super engaged with the city's DTLA 2040 team over the next few months. All I've written above and in the complementary detailed post is intended as a starting point—albeit a big one—for further discussion about what the community plans should actually look like. As with everything I write, critiques and additional input are very welcome. But please, if your comment is critical in nature, pointing out why x, y, or z might not work as I envision, please include your own suggestions for how it could be done better. Naysaying just for naysaying's sake doesn't further the conversation, and a productive, public conversation is what we really need here. Also, if your comment relates to additional details or clarification, there's a good chance you'll find an answer in my complementary post. Thank you for reading, and for your involvement on this in the coming months! If you want to get more involved, please shoot me an email through the contact form linked to at the top right of this page! Let's talk! To read additional details about my counter-proposal to the city's early draft of the DTLA 2040 Community Plan update, please click here.